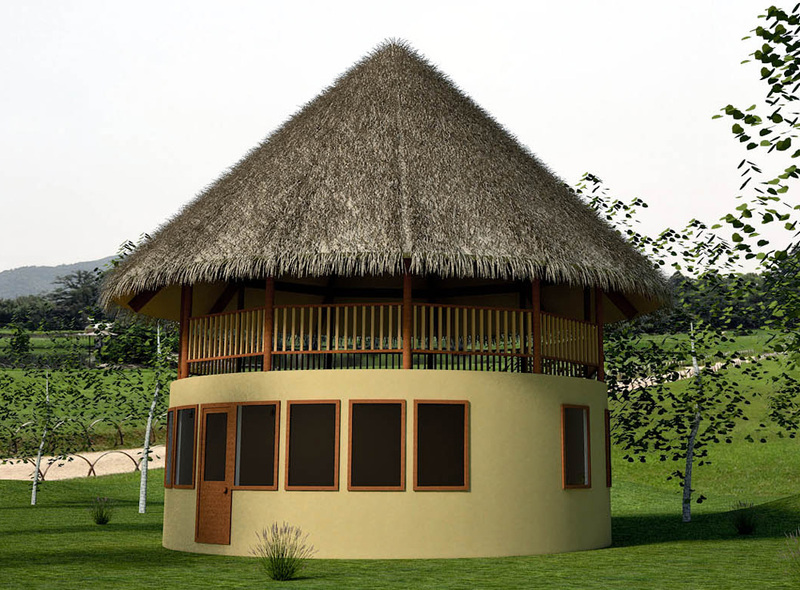 This alternate version uses a double pole roof to provide ample space for roof insulation. Inner and outer roof poles are bolted to steel compression rings like in my earthbag roundhouse. 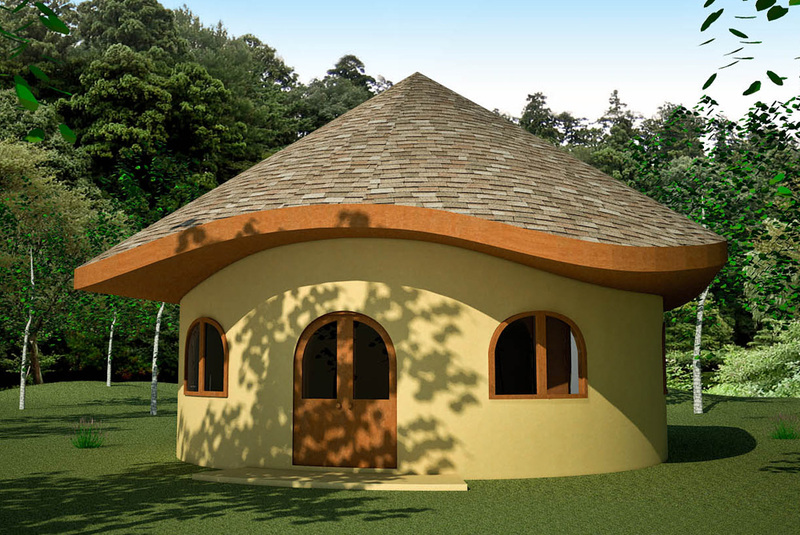 Wood shingles are practical and well suited for this curved roof design. Loft height in the center is 8′. Another good option is a grain bin roof. Good quality grain bin roofs are typically maintenance free for decades. Good choice for windy areas and hail zones. They are especially practical for those who live in agricultural areas and can buy the roofs separately from local grain bin suppliers. Hoist the roof in place with a crane, bolt in place and you’re finished. Plans are available through Dream Green Homes. Just ask if the plan you want isn’t posted yet. 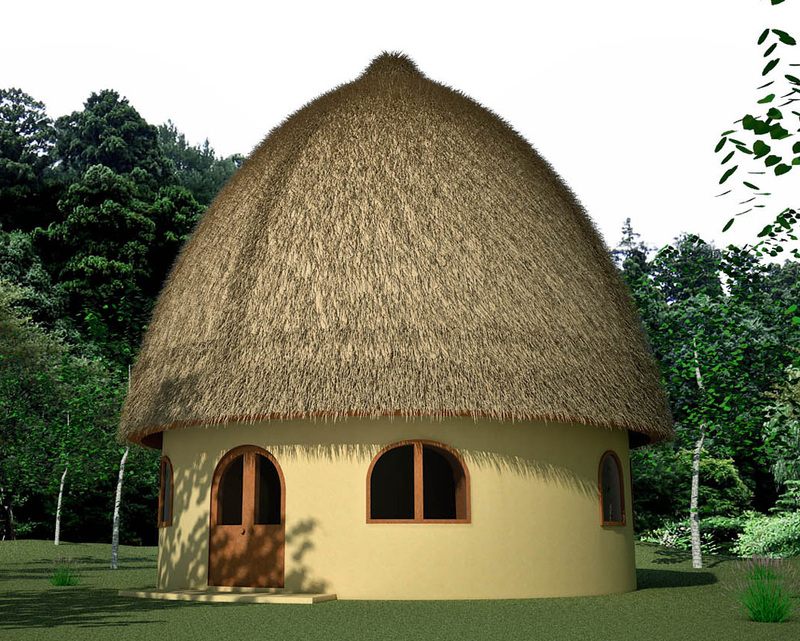 More info about this haystack roof on our Earthbag Building Blog. 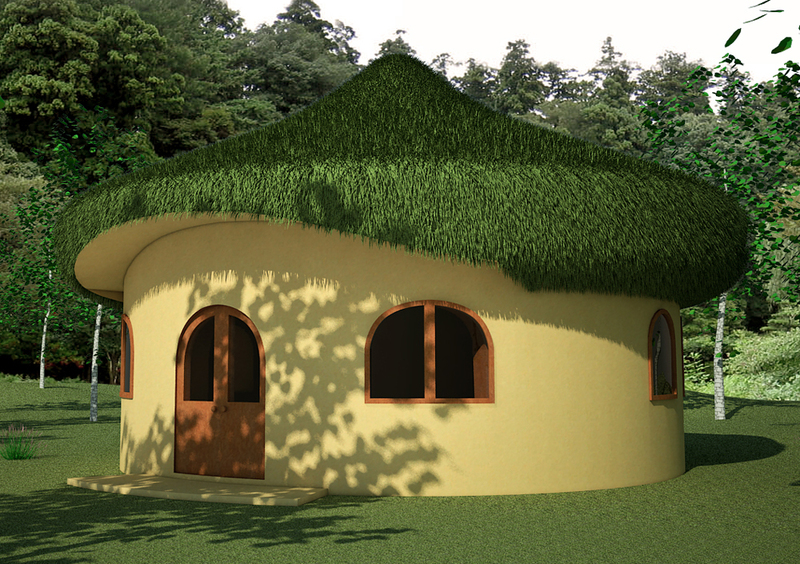 Here’s another version of the Hobbit House showing an open-air second story deck and rectangular windows. The deck adds another 471 square feet of living space at very little extra cost. This design is perfect for hot climates where breezes make a big difference in comfort. The deck can be accessed by stairs or a ladder. 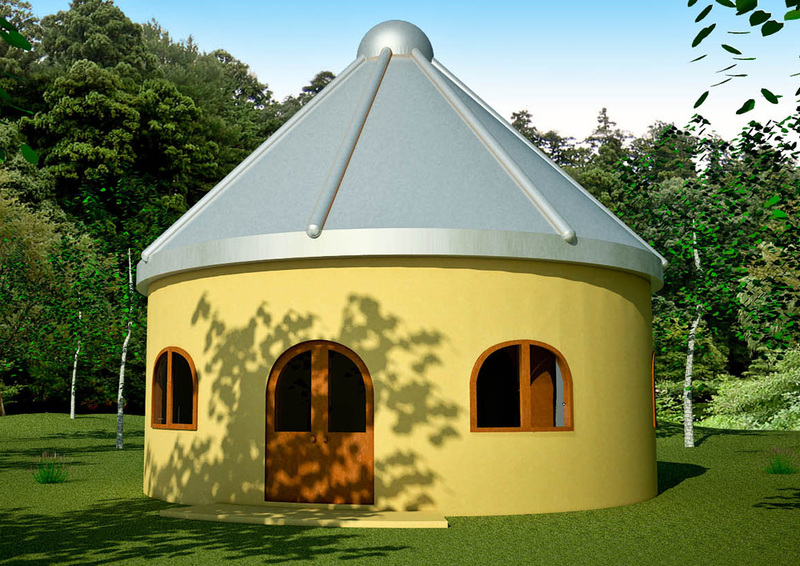 Description:This dome was designed and built for Mother Earth News magazine, which is now available in print (August/September 2009) and online. 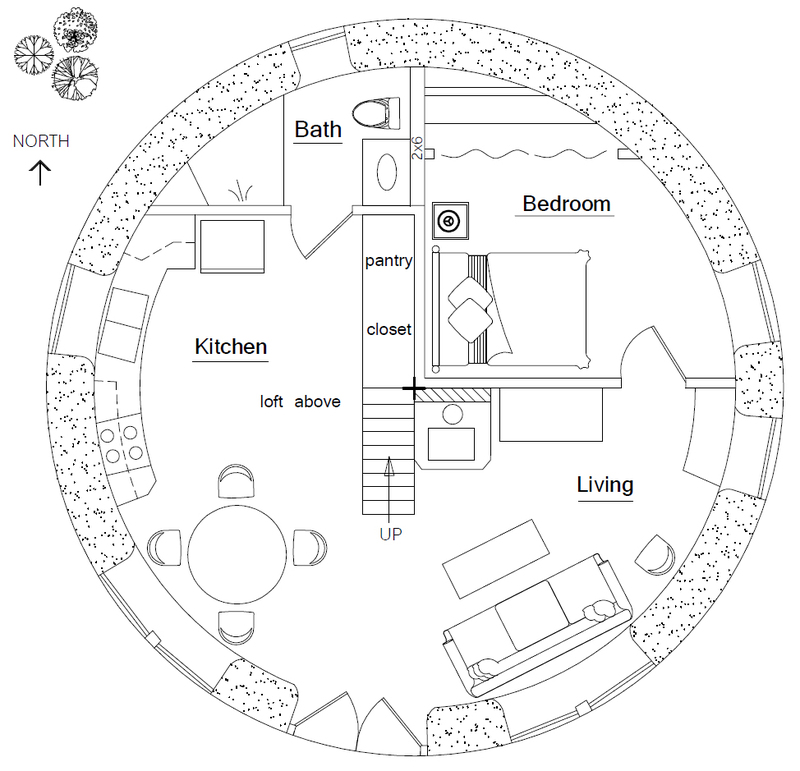 It was designed as a low-cost multipurpose farmstead structure that could be used as a rootcellar, storm shelter, garden shed, cool pantry or even chicken coop.